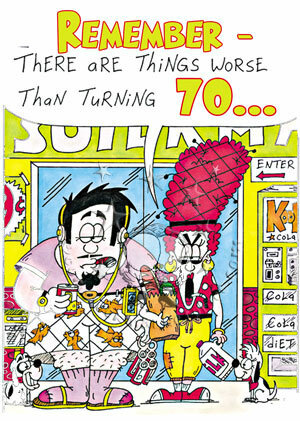 K6942 - Remember, there are worse things thank turning 70?. Inside:I'm thinking, I'm thinking! Happy Birthday, anyway!